Actor Duane Martin and wife actress Tisha Campbell attend the 38th NAACP Image Awards nominees luncheon February 10, 2007 in Beverly Hills, California. 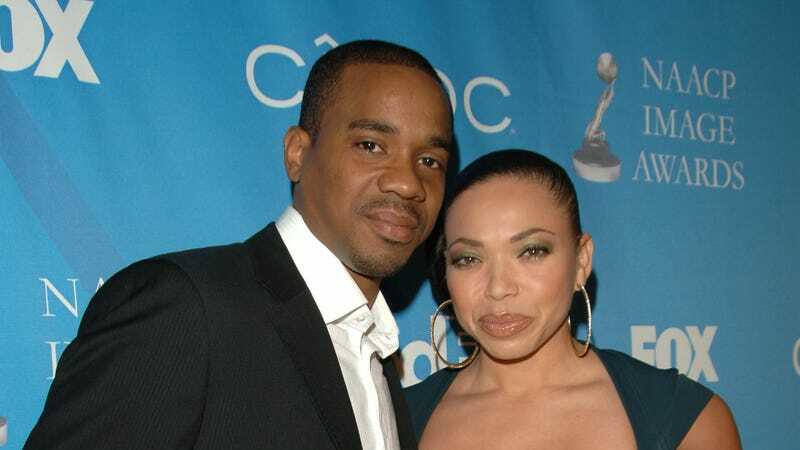 It’s been almost a full year since Tisha Campbell filed for divorce from longtime husband Duane Martin, and things have only gotten uglier. And sadder, to be honest. Now, Campbell has filed a restraining order against Martin, claiming physical abuse, with one incident of his violent rage occurring as recent as last month. “I can no longer live in fear of retaliation ... the need [to] press criminal charges for his acts overshadows the embarrassment of making his crimes against me public through this report,” the Martin actress told TMZ. In documents obtained by TMZ, Campbell claims Martin began his physical, emotional and mental abuse when their marriage began in 1996. One particular egregious claim includes times where he regularly criticized her for her weight, noting it as the reason why she wasn’t getting more acting roles. Campbell alleges Martin punched her in the chest with his closed fist, also saying he “grabbed me by my arm to try to get me in the bedroom,” in December. In January, she claimed she filed a police report, citing multiple physical altercations. To add to the list of abuse-adjectives, Campbell has been dealing with financial abuse from her estranged husband, as well, claiming Martin misappropriated and hid money during their marriage. In September 2018, she amended her divorcing filing, requesting spousal support after he allowed his ego to get the best of him by showing off his $750,000 bounty of shirts. The pair were married 22 years before Campbell filed for divorce in February 2018. They have two sons, Ezekiel and Xen. According to Page Six, Campbell’s restraining order was granted by a judge. Martin must now remain at least 100 yards away from her.